You are here: Cheap Insurance Home Auto Accident Forgiveness – What Is It, Really? Modern auto insurance comes with features our grandparents, and in some cases even our parents, never dreamed of, but it all comes down to customization – tailoring policies to match the needs of individual clients. For some insurers that means pay-as-you-drive coverage, where premiums are based on the actual miles driven in a given term. For others, accident forgiveness is a new option. But where do you get accident forgiveness, and how does it work? 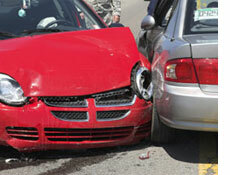 Put simply, accident forgiveness is an option that you can add to your auto insurance coverage. Some insurers, like Progressive, offer it as an option for existing customers upon renewal – it’s one of their loyalty rewards. Others, Allstate among them, prefer that you purchase it at policy inception. Either way, however, accident forgiveness can only be used for future accidents. You can’t buy it after the fact, in order to “erase” an accident you just had. Other insurance companies also offer accident forgiveness, though some refer to it as “first accident forgiveness,” and will only apply it to your first accident after policy inception. If this is a feature you want to have, be sure to ask your agent when it’s time to renew your policy, or when you’re shopping for new coverage. Once you know where to find accident forgiveness, you have to understand how it works. Basically, it’s an insurance company’s acknowledgement that even the safest drivers can still have an accident. If you have a spotless driving record going back several years, and accident forgiveness has been added to your policy, one accident will be “forgiven” in the sense that your rates won’t be increased the way they ordinarily would. Obviously such a coverage option isn’t free. After all, the insurer will be losing the doubled premium these clients would otherwise be paying. Still, the fee charged is generally much less than the higher premium paid with an “unforgiven” accident on your record. Is accident forgiveness coverage right for you? If you have a clean record, and have been with your existing auto insurance company for several years, or are purchasing a brand new policy, it’s worth asking about.